Every day I feel more and more blessed to be able to tell my story in a creative way. Really - the zoo is one of those trips where photos are taken, but nothing really ever happens to them. They might be lucky if they even make it to Facebook to share. I am so thankful that I was able to print these unique photos of my son at the Oregon Zoo and added the memories right into the Becky Higgins Project Life Pockets. 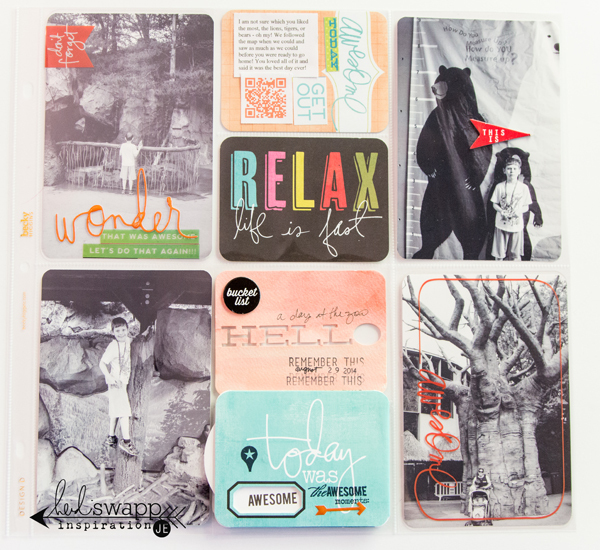 Today, I am sharing three of these pockets on Heidi Swapp's blog with a free download printable - so you can have the inspiration when you are ready to sit down and scrapbook! Create Well: Keep a binder filled with project inspiration, instructions, and printables so when it comes time to create, you have inspiration at your fingertips.